Female Urethra Directly Connects To The Bladder And Is Relatively Wide And Straight, Thus, It Is Prone To Infections. Women Have Higher Risks In Suffering From Cystitis Or Urethritis. If Such Chronic Conditions Are Not Controlled, They Will Possibly Result In Nephritis. 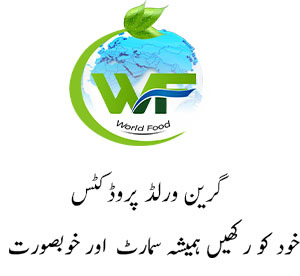 Green World Kidney Tonifying (Women) Is Made From Natural Herbs And Can Be Used As An Ideal Kidney Tonic. Cornu Cervi Pantotrichum Can Improve The Body’s Cellular And Humoral Immune Function, Promote The Transformation Of Lymphocytes, The Role Of Immune Enhancers. It Increases The Body’s Defenses Against The Harmful Micro-organisms And Regulates The Immunity To Prevent Diseases And Promote Wound Healing. Radix Angelicae Sinensis Earned A Reputation As The Ultimate Herb” For Women. It Is Widely Used Among Chinese Women As A Fortifying Daily Tonic, Much As Chinese Men Rely On Ginseng. As A Blood Tonic, It Is Beneficial For Women’s Unique Rhythms, Cycles And Body Systems Though It Is Not Recommended During Pregnancy Or Menstruation Or For People Taking Blood Thinning Agents. Longan Pulp Is Specifically Rich In Iron And Vitamin B2, Which Are Essential Nutrients For Synthesizing Hemoglobin. 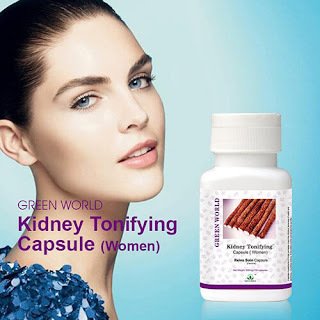 Together With Other Ingredients Kidney Tonifying Capsules (Women) Is An Idea Herbal Remedy For Anemia, A Common Disorder In Women Caused By Insufficient Intake Of Nutrients, Excessive Menstrual Bleeding, And Postpartum Anemia. It Alleviates Dizziness, Headache, Lack Of Concentration, Memory Loss Which Are Common Among Women.